Gabriele Conego, the box-owner of Urban Block Crossfit, is giving us a little insight into what happens at his BOX! Enjoy another episode of our Europewide BOX interviews. Before a trip in USA I Decided that my fitness view had to change (I was a fitness manager in a huge sporting club) so 3 month before the trip I started training by myself once in NY I travel all around the box, and decided that it has been my new life one year later I opened my box. Cause I need to to something different in my life and in my work, cause crossfit is a a way of life and not only fitness…you recognize a crossfiter from 1 kilometer. Cause in my box all the people has a NAME, every members is an import part of the box and are not only numbers like other gym. We are a small community in a small city wit 3 boxes and a lot of Globo gym that do UNOFFICIAL CF, most of my members are male, we have not a lot of girls but they are so strong and determinated! I only say: Go to the library and buy the Paleo diet book! Here there are all the consults you need! Yes we organized with other guys a super hero challenge a team challenge. All the team (2 persons for each team) must have a total weight of 165 kg (for one person can be 100kg and the other 65) the cool thing is that all the team must were like super hero for the first WOD. 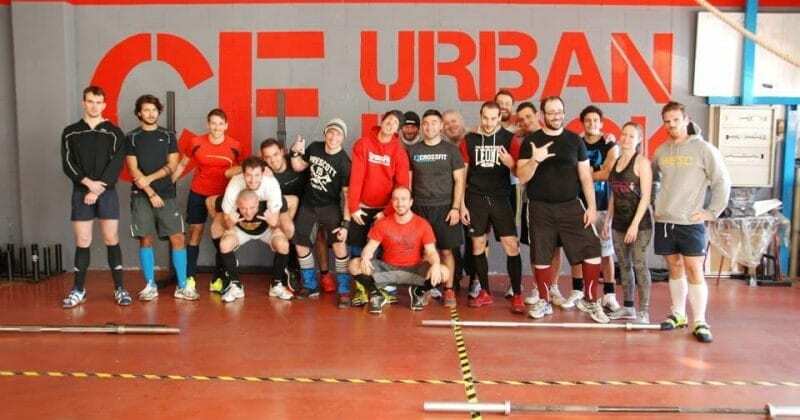 You can contact me at my phone number +393477845233 by mail info@urbanblock crossfit.com or join us on facebook.